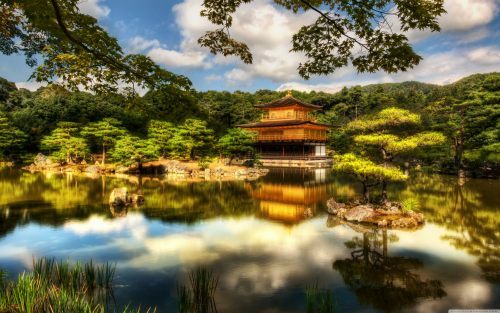 Montreal to Osaka / Kyoto, Japan - $536 CAD roundtrip including taxes | they're back! Those crazy prices from Montreal to Osaka, Japan are available again on United Airlines for $536 CAD roundtrip including taxes. The flights have an overnight layover in San Francisco. Look for the flights that are showing as $537 CAD roundtrip including taxes. You may need to click on a departure date before seeing the $537 flights. 3. Select the flights in Google Flights. 4. Next, click through from Google Flights to the United website for booking. Sometimes you may receive an error message when you get to the United website. I've found that by trying again it usually works. In the past, people have reported that this deal is easier to book via Google Flights from a mobile device as opposed to a desktop or laptop computer. montreal, yul, flight deals, japan, asia, east asia, united airlines, osaka, kyoto and kix. 2 Responses to "Montreal to Osaka / Kyoto, Japan - $536 CAD roundtrip including taxes | they're back!" I find the 537$ per flight not roundtrip!?! They were all sold out by this morning unfortunately! They've popped up a few times now, so hopefully they'll make an appearance again.